Yes, it’s getting to be that time of year again. You can’t walk past a shop without being blinded by flashing red noses and enough tinsel to carpet all of central London. Those old songs are being belted out at you wherever you turn, there are funny men dressed in red suits and you’re thinking, “Is it too early in the relationship to be having Christmas with the ‘out laws’?”. It’s time to plan the office Christmas party. You don’t want to be banished forever for planning the worst one since the girl from reception was ill all over the boss’s new shoes. You want people to enjoy themselves, they deserve it after a year of surfing the net – I mean, hard work. I think getting some input from staff is a good idea, what do they want to do? Would they like a themed event? Finger buffet? Party Bus? Whatever it is, it needs careful planning. Yes, there is Life after Work. It’s Friday, you’ve had a tough week at the office and just need to unwind and let your hair down. That merger/broken photocopier/temp girl wearing the same top as you have taken you to the edge of stress canyon, and it’s a long way down. The question is, where shall we go? Not that dodgy old man pub, you’re trying to relax, not have the life sucked out of you and replaced with a woolly jumper (though actually, granddad jumpers may be back in, it’s hard to keep up). There are plenty of light and airy bars around where you can have a civilized drink or three with your work mates. Some have happy hours, or more like “what did I do/who did I call” last night hours. Don’t worry about that, recriminations are for the morning after the night before. Just make sure your boss has a tipple or two more than you – it makes good career sense. 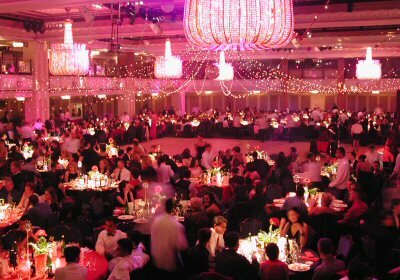 Additional tips and advice on office evening wear, office parties and outdoor lunches in London. According to a recent survey carried out by PricewaterhouseCoopers (PWC), UK workers believe that by 2020 it will be an absolute norm to work remotely – from home, the cafe, the park or anywhere else – rather than from the cramped and soulless office. More than 1,150 were asked to predict their career situation and workplace conditions for the year 2020. The majority of respondents admitted being worn down by the increased workload due to the recent recession, causing them to desire for better flexible working arrangements (reported by 47 per cent of respondents). Nearly half (42 per cent) admitted desiring for an improved work/life balance. Interestingly, only the younger group of respondents (61 per cent of 16-25 year olds) believed they would still be working in an office environment by 2020. There have been reports that office workers might not need to wait until 2020 for more flexible working arrangements, as many CEOs are already looking to invest in technologies allowing remote operations. It has been reported that the commercial property rental values in London are recovering, nearly 9 months earlier than forecasted. It is good news for the capital, however, according to international property consultants and chartered surveyors Cluttons LLP, the recovery in the rest of the country is lagging. In 2009 prime rents fell in most major provincial city centres in the UK by 5-10%, with Birmingham experiencing a 15% fall. The factors behind London’s recovery (particularly the West End and City) are improving confidence in the capital’s financial markets and the services sector. In the City of London, headline rents have gone back to £49 per square foot against a low of £42.50 per square foot in the third quarter of 2009. This equals a 15% increase in the last 6 months. The commercial property adviser CB Richard Ellis (CBRE) has also reported an increase in office rental take-up in the City of London for the beginning of 2010. The take-up during the first quarter of 2010 was the highest recorded since the year 2000. According to CBRE research, 2.04m square feet of office space was taken up during the first quarter of 2010. Tenant demand has remained very strong in the City of London. As Knight Frank reported earlier this year, the take-up of Central London office accommodation more than doubled in the first quarter of 2010, compared to the same period a year ago. The first quarter of 2009 is considered the low point of the market downturn. The forthcoming UK General Election on the 6th May might slow the market down briefly, as there would be an anticipated wait for the period of political uncertainty to pass. We all have received positive feedback from our colleagues about the change of our hairstyle or a nice pair of trendy shoes. But what about the embarrassing feedback, especially if both sides feel uncomfortable thinking about, let alone mentioning it? CareerBuilder has carried out an interesting survey recently, trying to establish how brave office workers are at revealing unpleasant information, i.e. that someone has some food stuck in their teeth or that the colleague’s zipper is undone. It turns out that we are more likely to comment on embarrassing situations if they involve people of the same or lower work level. For instance, half of office workers would inform the same level colleague if there was something in their nose, whilst only a third would be brave enough to tell a higher level colleague. Only 11 per cent of respondents would ever tell a higher level co-worker that they needed a shower, the same percentage would comment on the inappropriate wardrobe, and only 13 per cent would tell their superior that their hair was a mess. The survey involved 4,478 full time working respondents in the USA. Additional advice for office workers in London including Healthy Office Lunch Delivery Services in London, Business Etiquette, Office Kitchen Etiquette, Making a Good Impression on Your First Day in the Office, A Guide to Managing Stress in the Workplace and advice on Working Remotely. 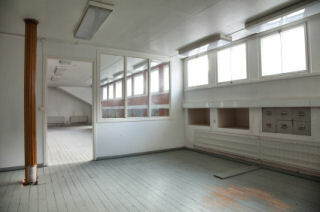 What happens to a vacant property after the last tenants moved out and there are no signs of new occupants moving in? Managing vacant property may prove much tougher than it seems. A recent survey carried out by SitexOrbis shows that the top three most important issues whilst managing vacant property are security, loss of rental income and empty property tax. Other key concerns included maintenance and compliance with insurance stipulations. The recession has resulted in increased numbers of vacant commercial properties. The amount of available office accommodation in the city of London has gone up by 90 per cent between mid 2008 and mid 2009. Company and retail closures across Britain have repeated the same pattern in most major cities. Many commercial property owners report a rise in squatting, vandalism, arson and break-ins; insurers are reporting an increase in large-scale fires. More than 50 per cent of landlords are unsure about the health and safety regulations for vacant properties. The cost of enjoying a meal at the capital’s restaurants has fallen down for the first time since 1997, a survey of London restaurants shows. Money saving techniques adapted by the Brits in the wake of the credit crunch mean there is less money left to splash out on meals outside of home. According to the 2010 Zagat London Restaurants Survey, the average cost of a meal fell by 0.4 % to £40.39 in 2009. The cost had been rising at an annualised rate of 3.6 % since 1997. The survey was carried out at 1100 London’s restaurants, with over five thousand diners revealing they now eat out approximately 2.2 times a week, whilst in 2008 they opted for a meal out nearly 2.5 times a week. Nearly 50% of diners admitted this was a direct effect of the recession. Even though people are more careful with their money, eating out remains a vital part of London lifestyle. 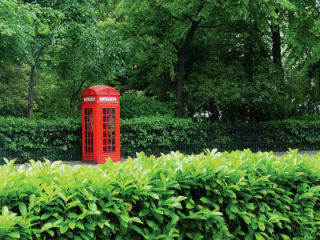 As many as two million trees will be planted in London by 2025, reports London mayor’s Boris Johnson’s office. 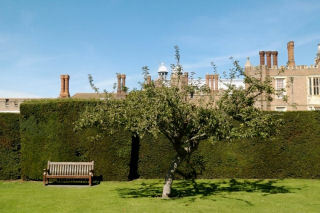 The capital is set to become greener, cleaner and more civilised, said the mayor’s environment adviser Isabel Dedring. The 2m tree plan was prepared as it is evident that the city desperately needs more parkland to combat predicted summer temperature increase. The so called “urban heat island effect” means that buildings absorb and release heat, retaining higher temperatures in cities than suburban areas. According to officials, by 2080 average summer temperatures in London could be nearly 3.9C higher than today. However, a study from Manchester suggests that increasing green areas in a city by 10% could offset the higher temperatures. The programme is called Leading to a Greener London and it aims to increase green space in inner London by 5%, including green roofs and more trees in streets. London consumes roughly £12 billion of energy each year and produces 22 million tonnes of waste. Further information on saving money on your office energy bills, the ethical office and recycling office furniture in London. Fed up with eating at your desk? Bored of scanning news sites while munching your sandwich? Suffering from bad digestion and poor work performance? It’s about time you started enjoying the lovely sunshine which seems to be spoiling UK office workers this year. Stepping out of the office to have an outdoor lunch is good for both your health and your mood. It is also allows you to rest your eyes, stretch the back a little bit and breathe some fresh air. Working in London, one of the busiest capitals in Europe, sometimes means you have to walk a bit to spot a tree. But don’t get discouraged, here’s a list of ideas and suggestions that might be useful in your search for a relaxing urban spot. 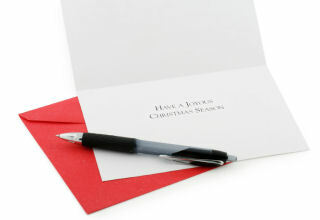 It’s about time to check your address book and get sending out Christmas Cards to employees, clients, suppliers and local companies. You can quickly and easily have a personalised Christmas Card produced with your company name, logo and address (good for advertising or just as a reminder of who you are) and/or with a picture of your company. Having received a company Christmas card where all the employees were dressed up as Xmas puddings, which is something I would be very reluctant to do myself, there are other ways of producing a card with a difference. How about a collage of employee baby pictures? Probably far more endearing than the grown up versions, unless you work at a modelling agency that is. Or employee pets, perhaps with Santa hats or similar Christmassy adornment. If you can take the time to handwrite your cards, it does give them a more personal feel. Ensure you get your cards out in the beginning of December, the longer your cards are on display the better, plus it gives the receiver time to return the favour. Further advice on all things Christmassy in the office including office Xmas parties, planning an office Christmas party in London and Christmas on a Budget.